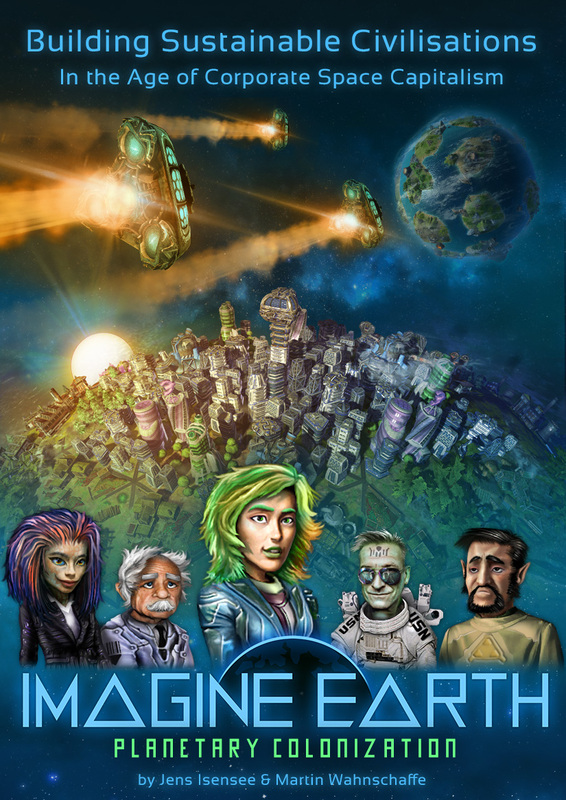 Please note that we are looking for beta-testers who can check on our new update releases days earlier than other players, please mail us if you happen to be that enthusiastic about getting your fingers early on new updates of Imagine Earth! 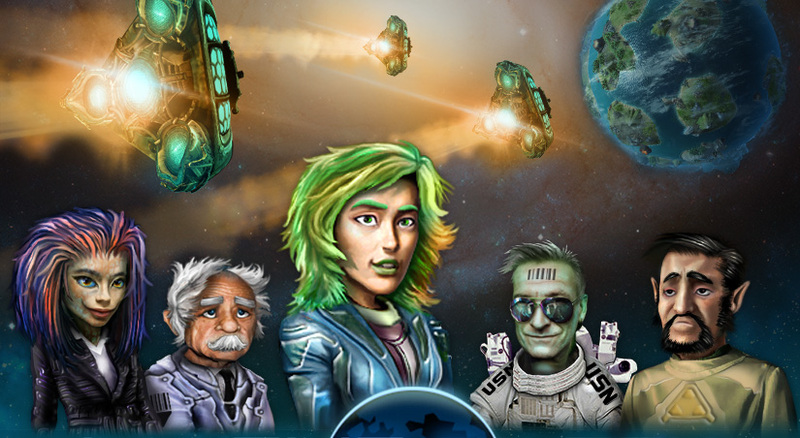 The old avatars of the main crew members in the campaign are some years old by now and we always knew we’d have to give these guys a makeup someday. Nothing is a better way of showing how this game has grown up over the years than the evolution of Limas character. It goes all the way back when it was a casual game idea with comic characters. Maybe we should not have opened this old box 😉 but with the final release coming in 2019 this nostalgic flashback came over Jens..
A new build menu on the left side of the interface will keep you informed about all your build options. Coolest thing about it is that this menu also shows your inventory and on top the craftable items. It has a category for all your gaia forces and shows if they are fully loaded. You won’t have to visit a workshop anymore to craft your stuff. It comes in addition to the classic build ring, so nothing changes, you just get more options. The control menu also offers a set of visualization tools. you can highlight fields that are threatened by rising sea-level caused by global warming. 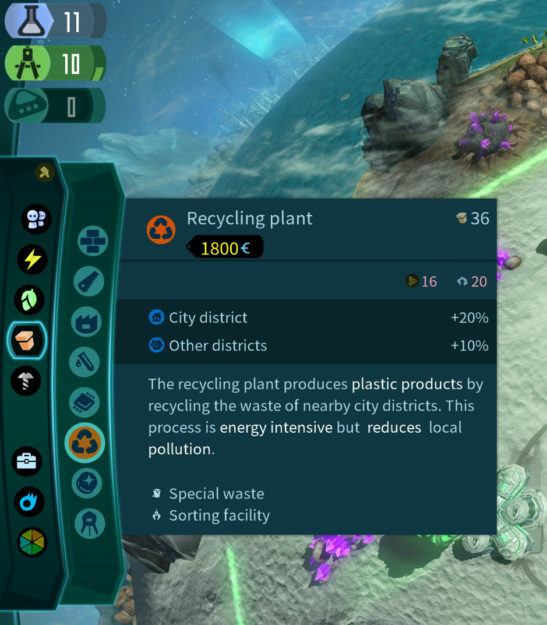 You can highlight rare resources, fertility, ground pollution, construct types and colony areas. If you open a trade or a crafting panel it will be centered on screen from now on. 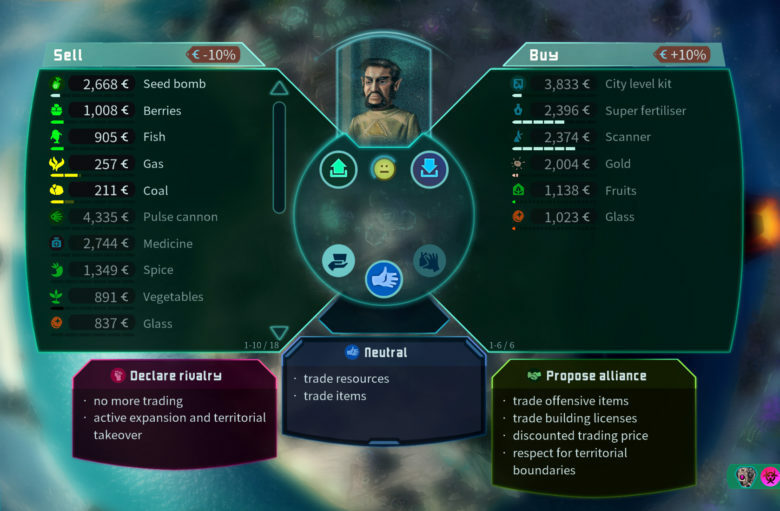 The background is blurred out and playtime is paused, so you can concentrate on deals and negotiations with factions and traders. We are currently experimenting with how the drones are working. 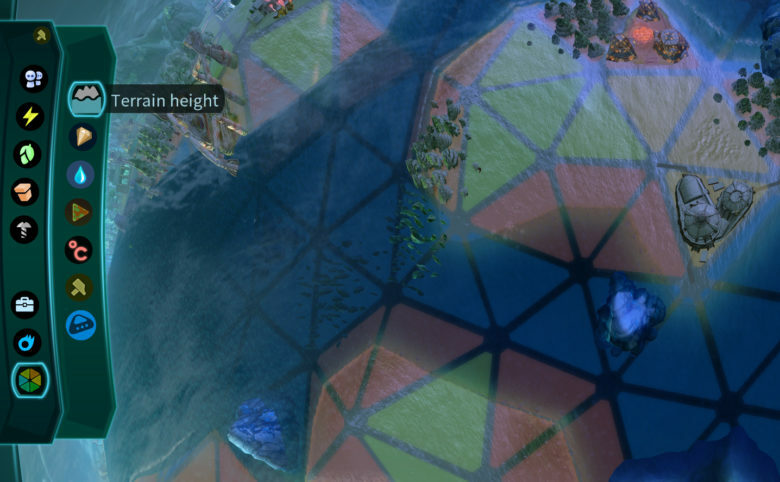 We decided to limit the city centers drones to one per level – so you are starting now with one instead of two. This makes it more important to level your city. The maintenance station no longer comes with a build drone. Instead it comes with a repair drone that only does repair jobs and will automatically do this in the range of the building. As before it can be upgraded with a fire station.